GWINN — The cold weather has led to delays and cancellations around the nation. It even caused a delay right here in the U.P. Last week, Sawyer International Airport experienced a 4 hour delay due to the dropping temperatures in Minneapolis. With the weather warming up, Sawyer Airport is concerned for the potential rain in the forecast. According to Duray, the rain can ice over many areas of the airport they need clear; primarily the runway surface. “We are really hoping that it does not get so warm and we don’t get rain. We are better equipped to handle snow instead of rain at this time. 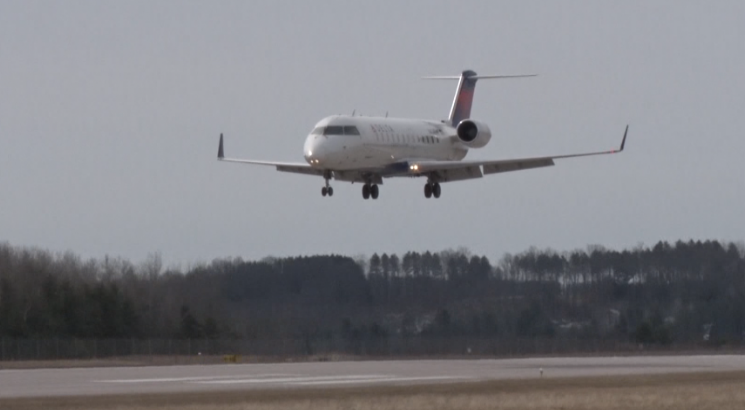 So we are hoping the warmer weather will just bring a relief from the polar vortex and not necessarily spring showers,” said Duane Duray, Airport Manager. Sawyer International Airport recommends folks come to the airport 2 hours prior of their flight. They also recommend doing pre–check in online to cut some time off from your travel to the airport.